Brilliant. We were attending a wedding so only met Sally briefly on the Saturday and she was very helpful. Sunday – what can we say! Woke up from a great sleep in a very comfortable bed to the most magic view of the harbour mouth from the picture window. Fabulous shower with several settings on the showerhead then out to the dining area where a scrumptious breakfast was served. We had suggested muesli and a piece of fruit – Sally took this to a whole new level with warm crumbly croissants and alpine strawberries. Yum! After breakfast Sally took us to meet her flock of really interesting sheep and then a walk up the hill for an amazing view of the harbour. Staying with Sally is an exercise in homeliness and luxury at the same time and not to be missed. Only one word can describe the view surrounding the house, “WOW!! !” The room is perfect for honeymoon, with stunning view and quiet environment. Sally is amazing, always willing to help. Guys you have to check this out, confirm no regret!! Sally ‘ B&B was in a gorgeous location, overlooking the bay and the hills beyond. The room was very clean and nicely decorated, with a huge picture window capturing the view! The rooms have their own entrance, to allow as little or much privacy as you like. I especially enjoyed watching the sky light up as the sun set, while drinking wine in the hot tub! 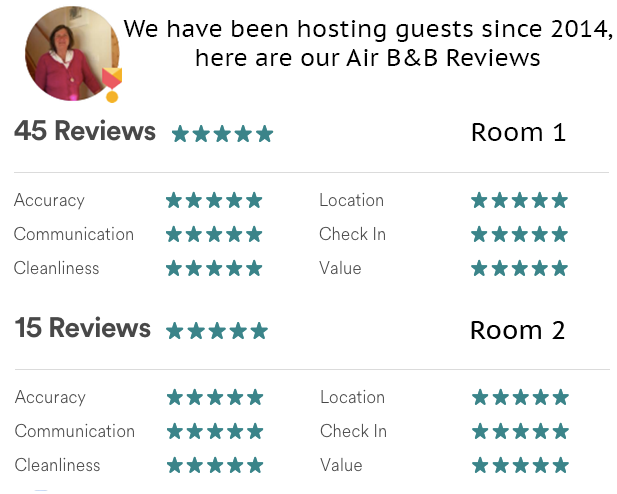 Sally went above and beyond in every way to make our stay memorable and enjoyable! Her home is beautiful…custom built with tremendous character and views. Sally took the time to show us around her property, including introducing us to her sheep and lambs. She also helped us find some fabulous day hikes, which led to us finding a secluded beach with several sea lions and even a penguin! They have a hot tub with stunning views. This was a stay we will remember forever! Wonderful location if you’re looking for a quiet location on the peninsula with hosts who are very attentive and present. Beautiful room and furnishings: we loved the tub in the room and the hot tub outside was epic! Thanks for a great stay. Sally’s space for guests is very clean and generous with stunning exposed wooden beams- quite “Grand Designs”. The spot is very quiet and Sally and Kerry are warm, genuine, friendly, kind, engaging hosts. Their home is right on the habour and we watched cruise ships sail past our window. The road to Sally’s place follows the curves of the habour, maybe a little daunting first time but picturesque after the first drive. This is a picturesque location, as lovely as the photos show. Sally is very hospitable and it a great place to relax. Not far from Port Chalmers or Dunedin. Beautiful setting and very peaceful. The room is spacious, comfortable and has lovely views over the bay. We had a fantastic week. Our hosts Sally and Kerry were a delight. Our room was very comfortable with views second to none. I can not recommend their place enough. Sally’s house is magnificent, well finished and cozy, in a lovely and private location. She and her husband Kerry are very easy and friendly, pleasant to chat with. Sally and Kerry, your magical space and extraordinary view totally entranced us! We appreciated your warm welcome and interesting conversations and the glimpse of farm life. Great place to stay. Had everything we needed including a great breakfast provided each day and incredibly friendly owners. We stayed for one night and it was a beautiful night! Everything in the room is amazing as well the views and garden! We feed the little pet sheep in the morning together with Sally and it was an unique experience in New Zealand! I felt well welcomed into Sally’s home that she shares with her partner, dog, sheep and chickens. The room and environment was as she described and particularly comfortable for a cosy, relaxed stay. The listing was as we expected. Both our hosts were friendly and helpful. My wife loved the bath. The room had everything we needed. Lovely decor and relaxing surroundings. The bed was comfortable and cosy. Loved the breakfast. Although we were only there for one night, we had a lovely time. Sally and her husband are excellent hosts and we wouldn’t hesitate to go back another time. My second visit, this time with friends from the UK. Wonderful to be back and experience the stunning views and peace. Warm welcome and lovely conversations with our hosts, Sally really makes you feel at home. I would never think of staying anywhere else. Couldn’t be a better host. Incredibly picturesque location. Great breakfast and really friendly helpful hosts. Wow. We only stayed for one night but we loved it here. Kerry and Sally gave us a really warm welcome even though I had forgotten to tell them when we’d be arriving and Sally gave us some good recommendations. The room itself is gorgeous – really light, bright and airy with beautiful furnishings and with access to outside space too. Sally made us a lovely breakfast of bacon and eggs in the morning and Coco the dog (so cute!) kept us company. We really enjoyed getting to know Sally and learning more about her family and the places they’ve lived in and visited. I hope our paths cross again in the future. I would 100% recommend a stay here if you’re visiting the area. Sally’s Tayler Point home and farm, and the beautiful surroundings, were one of the high points of my visit to South Island. My room (the one with the giant bathtub) was beyond spectacular, in design (hand-joined post-and-beam), furnishings, comfort and views. On Sally’s advice, I went out the end of the Aramoana Mole at sunset to watch the Northern Royal Albatross playing in the updrafts across the sound on Otago Peninsula, before settling into their nesting areas for the night (wingspan 3 m or 10 ft). You need good binoculars for this! One piece of advice about the rooms. If you are not able-bodied, ask for the room with the shower. The tub is marvelous, but requires agility to navigate! Also, make sure you are awake, alert, and sober before driving the coastal road out to Tayler Point from Port Chalmers. The curves seem endless, the road is narrow, and the views can be distractingly gorgeous. We had an amazing stay at Sally’ s house, very great to get breakfast every morning and the region is also very recommendable. The view from bed in the room was the best! We really liked it and wished to stay longer. Thanks for your kindness, Sally! I had a lovely stay at the Tayler Point B&B. Sally was the perfect host and very helpful. The surroundings are incredible with beautiful views. I will be back to stay so I can sit in the amazing spa and soak up the view of the harbour! A peaceful and relaxing weekend. Highly recommend! We arrived later than we expected but host was glad to see us. Got us settled into our room and we found everything clean and in perfect order. Thanks for the great stay! Beautiful place and lovely room. Sally and her husband were really friendly and nice. I Can definitely recommend the place to others! Greg & I had a lovely and relaxing time at the Tayler Point Homestay. Sally and Carey couldn’t be more hospitable. Breakfast was fantastic each morning, and our room was beautiful and airy, with an awesome bathtub. Photos do not do the house or property justice- just gorgeous. And to top it all off, we got to feed and meet the sheep and learn a little about sustainability in NZ! Also, CoCo is the most adorable dog ever. Stunning place to stay with awesome views of the harbour and the green rolling hills. Sally is a great host and the house is something to be hold. Very highly recommended. We spent a wonderful night at Sally and Kerry’s place, it’s really beautiful, comfortable and most of all, there’re lovely people! We watched the stars on the top and the hill, it was amazing for us! Thank you for everything! See ya’! Sally was very welcoming and accommodating. She was very informative and made great breakfasts for us. We especially liked her touring us on her small farm. We enjoyed being out in nature at her home. The room had a gorgeous view and was very comfortable and spacious. My wife and I highly recommend Sally. Sally and Kerry were lovely hosts. The bed was comfortable and the room was well laid out. The breakfasts were enjoyable and it was nice to have sunny places to sit inside. Having our own entrance was a bonus. I was given a very warm welcome by Sally. The farm and accommodation were exactly as described in a most beautiful position with stunning views. Comfortable bed and a delicious breakfast. I can find nothing but positives for this property and hope to return. I even got to help feed the chickens! My mum and her friend were in mum’s words absolutely thrilled with the hospitality, and the location, and the guest accomadation. Despite being in Dunedin for a funeral they wished they could have stayed longer. A perfect place to stay and a perfect room. Really beautiful, romantic and clean! And sally thinks about everything ! Sally was a great host considering we arrived quite late into the evening. The place is accurate to the photo shown. The bed is equal or better than a 5 star hotel and the bath is a bonus. Sorry for booking Sally’s house so late, because we went to Christchurch via Dunnedin, we decided it too late. It’s surprised us that it’s a wonderful house with great view! Wir hatten eine großartige Zeit bei Sally und haben jede Sekunde genossen. Unser Zimmer war wunderschön, sehr romantisch und sehr sauber! (Der Ausblick vom Zimmer ist umwerfend!!) Das Frühstück hat uns sehr gut geschmeckt und die Produkte hatten eine hohe Qualität. Sally und ihre Familie sind sehr freundlich und haben unseren Aufenthalt perfekt gemacht. THANK YOU FOR THAT PERFECT STAY! Second time we’ve stayed here – such a great place to get away and really relax. Beautiful view of sunrise in the port. Great and friendly hosts!!! Would stay again. It was a very nice, decent, and clean house, unexpectedly good. Sheeps and chickens in the host farm which I joined her to feed them. Excellent scenic location. Croissant made by host is very delicious! Sally and Kerry are super friendly. They even prepared some toys and a crib for our little one. They’re willing to share their life experience. The room is very cozy and clean and view is superb. There was no guest in the other room during our stay so we had the common area all to ourselves. Breakfast was great. We love the little farm visit and did it two days in a row. There’s even a nice hot tub we could use but the cozy room is more than enough for us. The location is a little out of the way but that’s exactly how a farm stay should be. We saw a seal swimming up close nearby. We totally love this place and would definitely recommend it. The views from this location are simply stunning. Sally and Kerry were warm and welcoming hosts and very helpful. We thoroughly enjoyed staying here and have already recommended it to others.